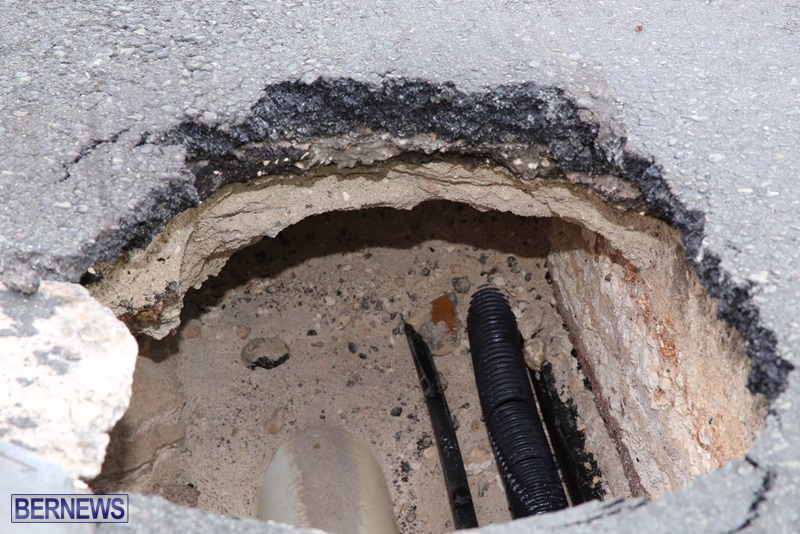 A staff member from the Department of Works & Engineering was seen this afternoon [April 5] working on the North Shore Road area, in the vicinity of Shelly Bay, due to a hole in the road. 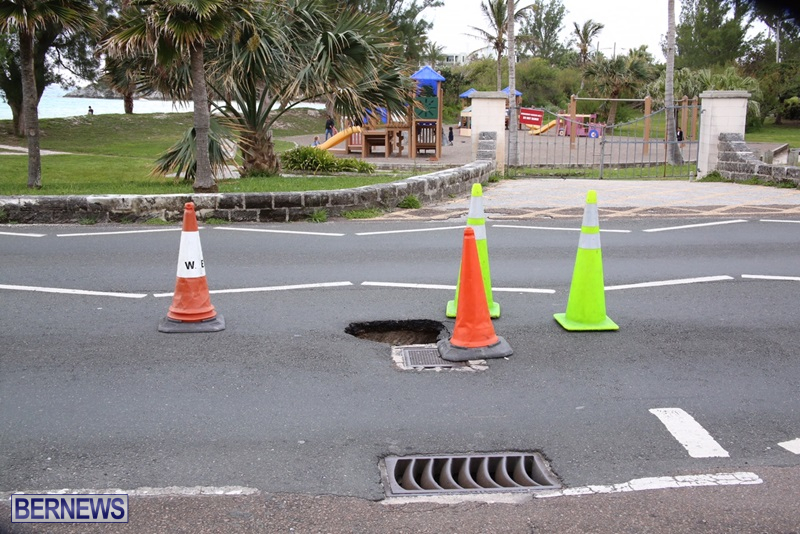 The hole has since been covered with an orange barrier and surrounded with safety cones, directing oncoming traffic to travel on either side of the affected area. 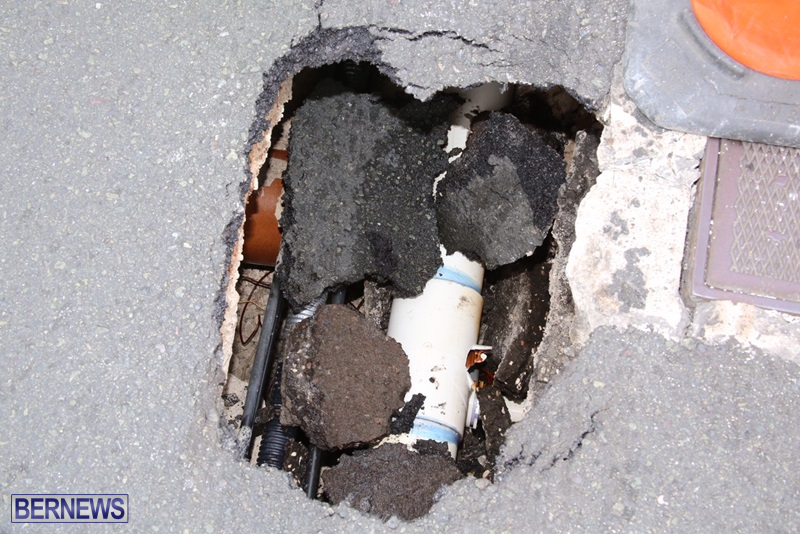 A nearby temporary road sign indicates that a burst water pipe may have caused the damage in the roadway. So instead of fixing it ASAP they put cones around it despite it being just after a corner. SMH! I’m sure a lot of people think the same way but if it’s not a government water line then the relevant company has to fix their problem pipe first before W&E can fill the hole. And it’s unlikely that’s going to just happen , like ‘right now’ . At least we have a heads up on the situation as potholes like that can be deadly , even for cars . There’s enough there to keep a crew of six busy for at least a week and a half. Did you ever think that perhaps they put cones around it to warn people of the danger while they could asses the situation and gather together the supplies they needed? Or do you think that they have a pothole repair division that has trucks full with pipe, rubble, scanners, cameras, cement and crystal ball so that they would know and have everything in one truck? So it’s government’s fault????? could it be the deluge of RAIN or maybe big trucks on the road or just wear and tear. But yes, it’s the governments fault they went there and created these holes SMH!!! Yes it IS government’s fault as they are responsible to maintaining the roads.. how is that difficult to understand. You Must drive around in a massive truck and haven’t noticed how terrible the roads have become in Bermuda. The government pays engineers supervisors managers and crews and you want the minister to fix it this is a joke smdh. Are you slow? Where in my post did I say it’s Gov’t fault that the pothole is there? It’s Gov’t responsibility to correct it, not put up another hazard(Cones). Of course it is Governments fault. The roads are in terrible condition despite what Government officials and their Insurers might claim.. Assiduous in the upkeep of the roads….I think not. 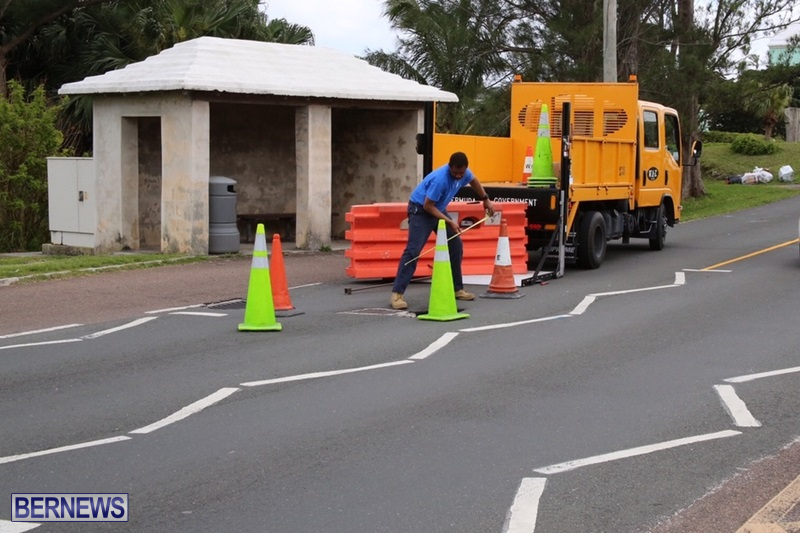 Under the PLP the mileage of road resurfacing and maintenance was cut back considerably. The quality of the materials used was also cut back on. Under the PLP bigger cars, trucks and other heavy vehicles were permitted to be used in Bermuda. We are now reaping the rewards of the PLP policies with the quality of our roads. Well done PLP … NOT ! YOU CAN’T BE SERIOUS WITH THAT ASSININE COMMENT?! How long have the PLP ‘NOT BEEN’ the Government! You seem to be one of those solid UBP/OBA supporters who would blame the PLP if Jesus came back to tomorrow!! Please find another excuse cause it grows real old and boring to keep blaming previous governments! Well first the y have to finish the roundabout..
Then they got that wall up by whites..
Is that wall in paget finished yet, by the stop lights. The firm who did that should be fined or have to redo the work! 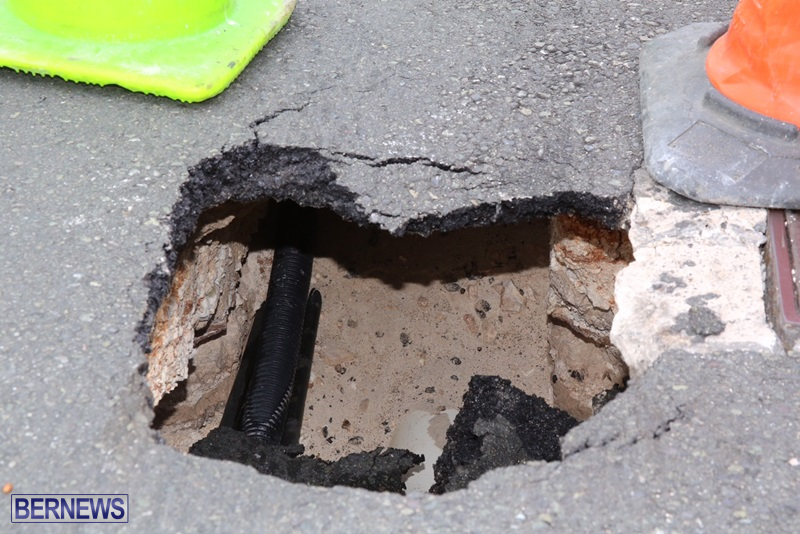 There’s another nasty little hole where Hermitage Road meets Middle Road. If you’re on a bike it’s not just a nasty little hole ! I have NEVER seen this island in such a state of disrepair – roads, walls, overgrown vegetation, the list is endless! Why aren’t these things being monitored?? Let me guess – not a priority for this Government?? It was not a priority of the last government…hence the quality of the roads today. That pothole should have been fixed immediately. All involved whether private company or government should have met and had it fixed even if that meant working past normal hours and into the night/early morning. But no, money is so much more important that lives. We need to start thinking outside the box. Is money the only reason work is not done at night. Come on. This is too dangerous to be left in that manner for any length of time. The roads around are patched up all the time instead of fixing them correctly. 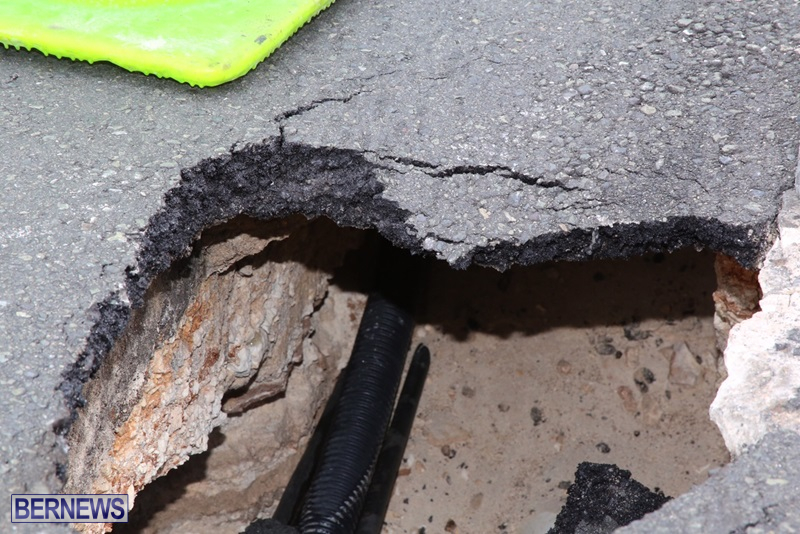 Just take a trip to Hermitage road and count the patched up holes. Looks like a great spot for a parking lot….sorry.